We have received a lot of questions about appointments and if it’s possible to make some of them recurrent. The answer is yes! 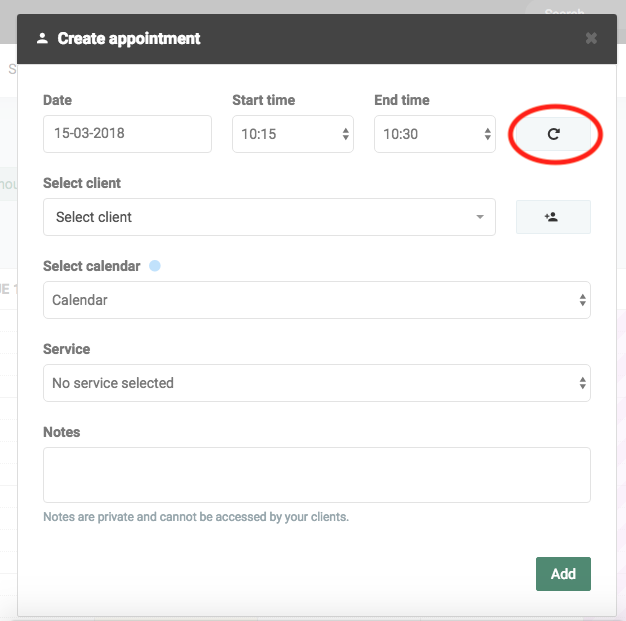 Yes you can make an appointment with a particular client recurrent, meaning that it will be a set appointment e.g. every week. Let me show you have to do it. Great news, it is surprisingly simple!